Infrared heat waves are long electromagnetic waves located near the visible part of the electromagnetic spectrum, which can give off a large amount of heat that is easily absorbed. Infrared heaters work like the sun, generating radiant energy that is converted to heat when absorbed. The heat is initially absorbed by objects, surfaces and people before heating the air, making infrared heating of garages, sheds and warehouses far more efficient and cost-friendly than convectional heating methods. Heating patterns are typically more uniform when using infrared heaters as air molecules are not required as a means of transporting heat energy, therefore pockets of hot or cool air are not found within the space. Infrared heating is particularly useful in areas where complete insulation is impractical or inefficient, or in areas such as garages or basements where specific heating may be required. Infrared garage heaters do not drain as much electricity as electric heaters, and can be powered by natural gas or propane. Due to their high level of energy efficiency, infrared heaters are considered a “green” or environmentally sustainable method of creating heat. Generally installed in a corner, allowing for most effective coverage of the garage area, garage heaters can be ceiling or wall mounted, or in some cases portable floor heaters. As many garages are attached to houses, it is important to verify whether a heater is certified for residential use in order to provide a safe heating solution. Reasons for garage heaters vary according to the use of the space. Maintaining a warmer temperature in an automotive garage during winter months can prevent damage done to auto sheet metal by ice, snow and salt. Engines can be kept at an ideal temperature and this reduces wear and tear damage caused by cold starts or freezing temperatures. Many residential garages are used to store personal items such as sports and recreational equipment or appliances. These items may be damaged at freezing temperatures and therefore a garage heater could be installed as a preventative measure to costly damage. If plumbing is located in the area of the garage, a heater can protect the pipes and prevent costly repair services. In other garages which are used for mechanical work, DIY projects or other activities, a garage heater ensures that work can continue in the space all year round, even if the outside temperatures are below freezing. 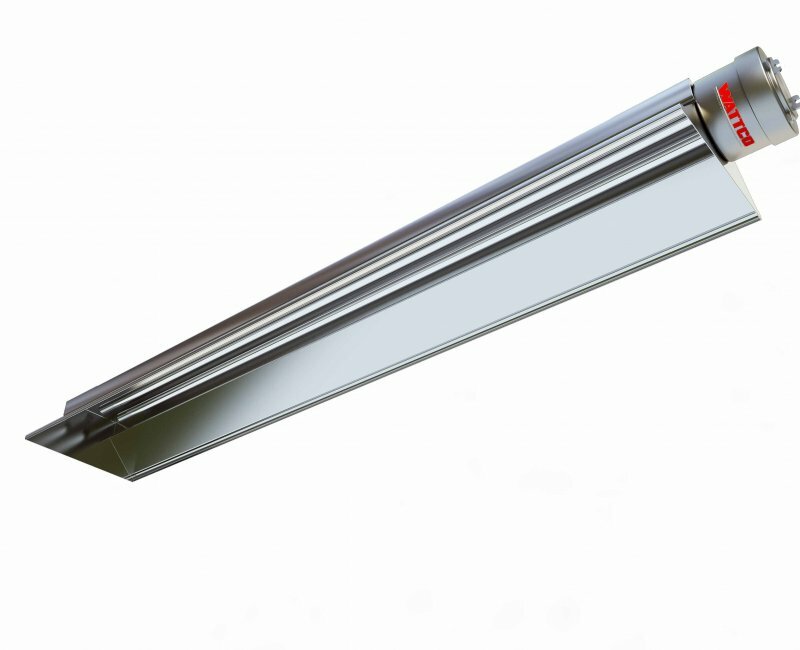 Garage Heater Garage heaters are infrared or electric infrared heaters which provide heat to garages, workshops or other large spaces used for storage or working purposes.